Back in the early/mid-1980s, I often ventured down to Laclede’s Landing, to enjoy a fairly wide offering of venues: bars, restaurants, music clubs, even a wax museum. The area always had a unique feel to it, and it seemed that it was just waiting to live up to an even greater potential. Enter Jill Beaverson, the new executive director of the Laclede’s Landing Neighborhood Association. She has a vision for a new awakening of this great area. In a May 16 interview in the St. Louis Post-Dispatch, she opines that “Laclede’s Landing can be just as famous and exciting as the French Quarter in New Orleans, Beale Street in Memphis, Tenn., and North Beach and Haight-Ashbury in San Francisco. We are capable of that,” she says. One ingredient essential to spur activity, development and vitality to any city is people—preferrably permanent residents. Well, that piece of the puzzle may also be on the horizon, in the form of a 30-story apartment tower. Right on the riverfront. 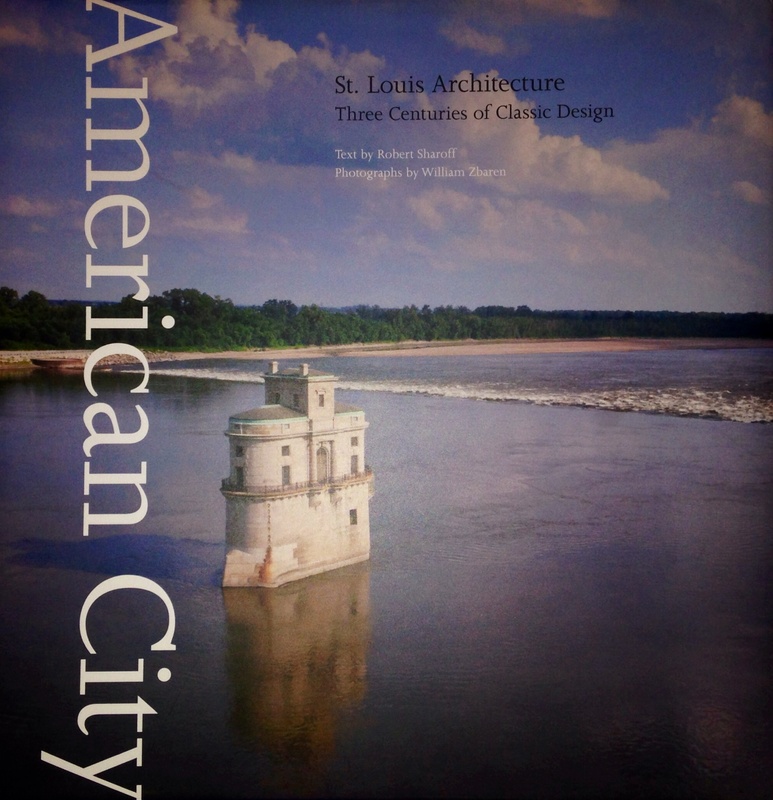 Right at the heart of Laclede’s Landing. This could generate even more development in the area. And, owing to its proximity to the Washington Avenue loft district it could be good for both the Landing and the lofters, as a steady stream of patrons— tourists and residents alike—could easily stroll between two exciting districts. 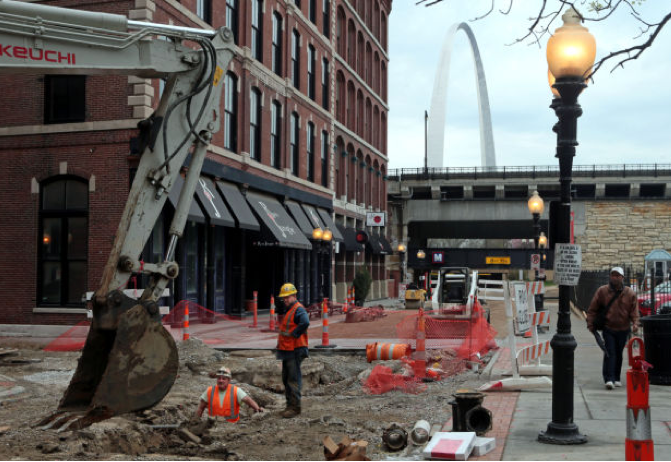 Laclede’s Landing is a great treasure, with its own look and feel. Now, it may be poised to live up to the potential that’s always been just below the surface. 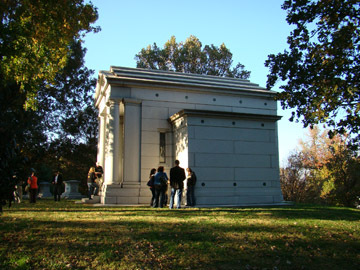 The Lemp Mausoleum, a notable stop on the Lemp Reality Tour from 2010. Though the term “Hidden Treasure” is overused to the point of being a cliché, it is a perfectly appropriate way to describe St. Louis’ Bellefontaine Cemetery. It’s the permanent residence of many of our city’s most notable business people, artists, architects, politicians, soldiers and civic leaders. Within its pastoral grounds you will find entombed the namesakes of many of our most well-known buildings, streets and institutions. James Eads is there, as are Albert Bond Lambert and Robert Barnes, perpetually resting among the Busch, Lemp, Maritz, Campbell and O’Fallon families. One of the most haunting monuments belongs to David R. Francis, a former mayor who organized the 1904 World’s Fair. Some of the mausoleums are as notable as their celebrated inhabitants. For example, the architectural marvel that is the Wainwright Tomb, designed by iconic architect Louis Sullivan (who also designed the Wainwright Building downtown), still attracts visits from architects across the nation. More than 87,000 are laid to rest in the historic and scenic cemetery that was founded in 1849 to accept the remains of those formerly interred in numerous and scattered church cemeteries that found themselves in the way of a growing city that needed space for the living. The cemetery expanded greatly when a devastating cholera epidemic claimed a large percentage of the city’s citizenry. Bellefontaine’s park-like setting was designed by Almerin Hotchkiss, who earned fame for his Green-Wood Cemetery in Brooklyn, New York. The cemetery’s meandering roadways take the visitor on a trip through time, back to a day when families visited their loved ones via horse and carriage. In those early days, such a journey and visitation made for a daylong event, culminating in a relaxed picnic lunch beside the dearly departed. Today, the cemetery still makes for an awe-inspiring experience. Visitors are encouraged and warmly welcomed. Organized tours are plentiful, and if you can’t make one of them, their interactive website provides ample opportunity to plan a self-guided tour; there are enough beer barons and Civil War notables to have their own dedicated maps. A good book about Bellefontaine is “Movers and Shakers, Scallawags and Suffragettes: Tales From Bellefontaine Cemetery,” by Carol Ferring Shepley. A few years ago I had the pleasure of hosting the Lemp Reality Tour, a bus tour that took participants to places associated with the Lemp family. The tour culminated with a visit to – and within – their family mausoleum, the largest in the cemetery. Richard Lay, VP of Public Relations for the cemetery (and a walking encyclopedia of its history) boarded the bus and discussed the notables whose tombs we passed along the way, with insightful anecdotes that were entertaining and informative. One of the most rewarding and gratifying aspects of conducting these tours were the positive reactions from tourists who were truly amazed at this beautiful and reflective spot that many didn’t even know existed. So, if you were once a mover and shaker, Bellefontaine is the place to be; if you enjoy St. Louis history, it’s the place to see. 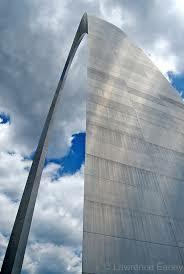 America’s tallest national monument is something many St. Louisans take for granted. Thousands drive past it every day, and in the hustle of daily life, it can become invisible by its familiarity. Its grace and monumental beauty are timeless, however, so let’s celebrate some factoids about what I consider St. Louis’ most notable monument to architecture and engineering: our Amazing Arch! SHAPE: Catenary curve. That’s the shape a free-hanging chain takes when held at both ends. HOW MANY CONSTRUCTION WORKERS DIED BUILDING IT? None; though the designers estimated it would take 13 lives. For my first informational post, I’d like to take you to my all-time favorite St. Louis neighborhood: Compton Heights. I became intimately familiar with many of the monumental homes in this stately and historic area during my 13 years of playing saxophone in the Compton Heights Concert Band. 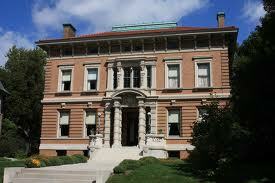 During those years, I had the great privilege of helping to organize fund-raising house tours to benefit the band. It was a lot of hard work, but also a great way to take a trip back in time to enjoy a true insider’s look at some of the finest homes in a city with a great deal of wondrous residential architecture. Compton Heights consists of two streets, Hawthorne and Longfellow boulevards, which form a long lima bean shape between them as they curve gently from Grand Avenue on the west, to Russell Blvd. on the north. The streets were designed and laid out by Julius Pitzman in 1889-1890. From its beginnings, Compton Heights was a favorite residential area of the city’s more prosperous German families, and a good number of them called upon the services of German architects to design their homes. Much of this work was dominated by two notable architects: Otto Wilhelmi and Ernst Janssen. I’ve been out of the band since 1994, but I still return when I can, to stroll around the gracefully curving streets, remembering the years I spent in the shadows of these amazing homes. The home pictured above is a good example of what you’ll see in “The Heights.” Built in 1903, this French Renaissance-style home is located at 3263 Hawthorne. It was designed by Ernst Janssen for Louis and Bertha Stockstrom. Stockstrom is widely known for another home he later occupied in Compton Heights: His “Magic Chef” mansion at 3400 Russell. On your next trip to the city, drive through and marvel at the turn-of-the-century elegance that stands as a testament to St. Louis’ rich legacy of residential architecture. Prepare to be amazed!